Do Companies That Add Benefits for Fathers Know Best? Do Companies That Add Benefits for Fathers Know Best? 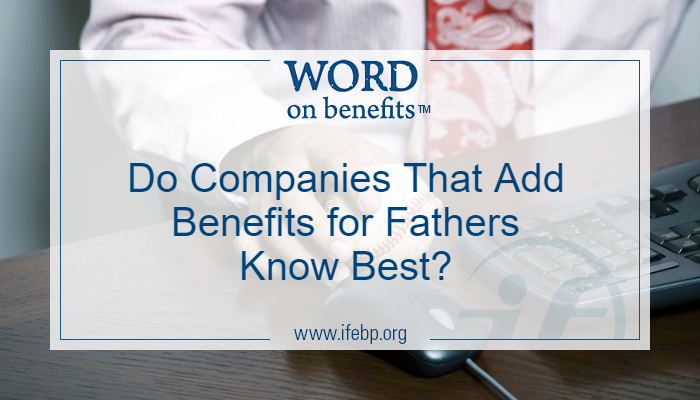 Do Companies That Add Benefits for Fathers Know Best? Father, dad, daddy-o, dadmandu, baba, pops, popsicle, the old man, elder dude, Mr. Forebearer, dada lama ding dong—There are as many different dads as there are names for them, and their needs in the workplace are equally diverse. And changing. The old-school vision of father typically went like this: Spend a long, grueling day at the office, head home, toss your trusty fedora on the hook and play a little catch with Johnny or Jane. The new view of dad goes more like this: Flex your schedule to take Johnny to the doctor, work from home the rest of the morning, head into the office at noon, stop by school to catch Jane’s recital, check e-mails in between washing dishes and loading the laundry, get the kids to bed, pull out your trusty laptop and crank out that report. Today, the commitments of being a working dad can be so much more than just playing catch. Many workplaces, however, are still playing catch-up when it comes to paternal perks. The 2016 National Study of Employers notes that paid paternity leave is still rare, offered by just 15% of employers. The study showed that paid paternity leave was offered by 19% of large companies (1,000 or more employees) and 14% of small companies (50 to 99 employees). In Employee Benefits Survey: 2016 Results, from the International Foundation, 24% of responding organizations said they offer paid leave for dads. While overall numbers for leave may be low, many top workplaces are seeing an opportunity—and increasing benefits for working dads. Fatherly.com released its annual Best Places to Work for New Dads report, which studied for-profit companies with at least 1,000 employees, and found the average amount of paid paternity leave among the companies making the Best Places list jumped from four weeks in 2015 to 11 weeks in 2017. Paternity leave is only part of the story, according to the Fatherly.com report. Organizations also are trying to attract and retain employees by allowing parents to make use of flexible work schedules, child-care programs and other leave options that let parents spend more time with infants and children. Inc. listed Reebok as its top company for working dads, with benefits such as child-care facilities, access to on-site and preferred placement day-care centers, and camps for kids during school holidays. 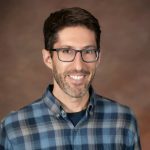 In an article for CNN, Brigham Young University assistant professor Kevin Shafer says that adding workplace benefits for dads is good for the entire family—and the office. “Research has shown that generous family leave policies positively impact family health, parents’ well-being and gender equity in the workplace,” Shafer writes. Olivia Barrow also noted the added benefit of gender equity as part of a LinkedIn article on paid family leave being the hottest new perk among leading companies. In addition to paid leave helping with recruitment and public relations, Barrow noted, organizations pointed to a resulting increase in gender diversity. It appears that many dads are looking for a cultural shift to impact their work shift. Shafer cites research showing that fathers want to be more involved parents, yet he says that public policy and social institutions have been slow to adapt. But there are signs that adaptation may be on its way: Much as our social vision has largely changed from fedora dad to flex-time dad, the increasing benefits from top organizations indicate an evolving viewpoint for parents and parental perks in the workplace. As families get ready to enjoy Father’s Day and the inevitable debate over whether father knows best, it’s a good time to assess the benefits of companies trying to do what’s best for fathers—and families.